Within a week our UX practitioners will work with the team to create a user tested clickable MVP prototype. During the week long process or practitioners will work with the team to solve product challenges through collaboration, prototyping and testing of the MVP prototype with end users. This process will help you gain valuable insights into your product. 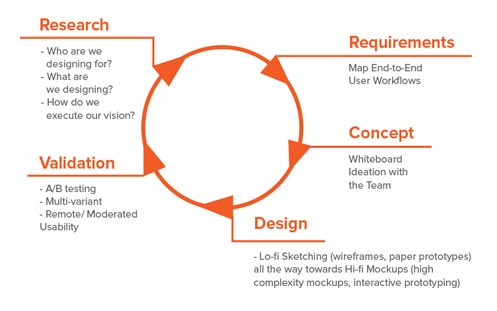 Our UX designers are highly skilled at listening, interpreting and responding to the needs of our clients to enable their visions to come to life. We use a lean start-up approach to research, conceptualization, design and validation to accelerate development.